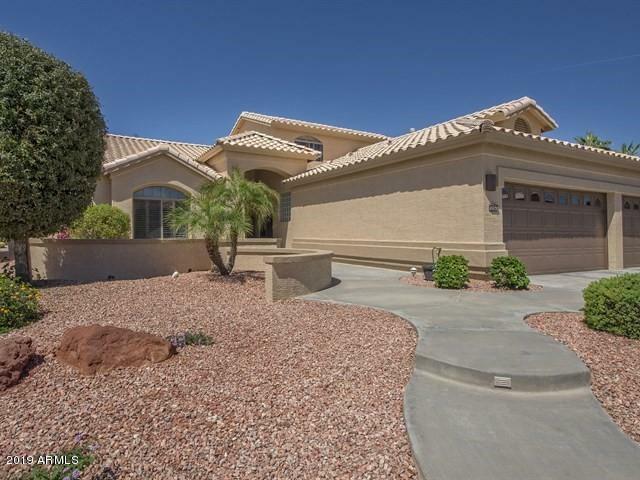 Elegant spacious 2 story home with large fenced yard for pets & view of common area in back. 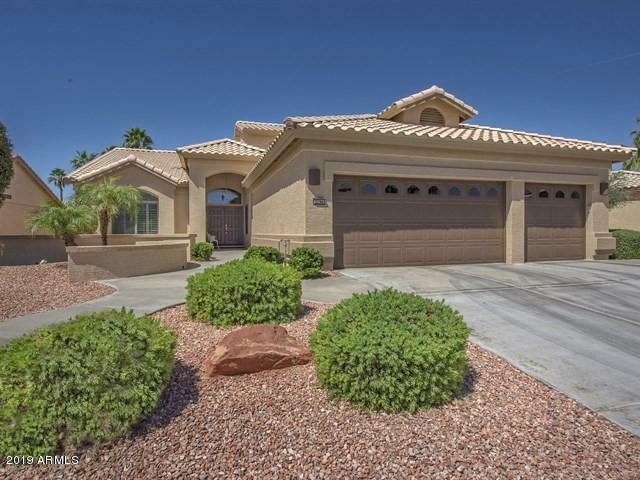 Soaring Ceilings, Stunning windows with Shutters, Light & Bright living room, chef's kitchen with custom cabinets & center island, family room, utility room, 2 bedrooms, 2 full bathrooms + a large den on the main floor. Extended master suite on the main floor has a sitting area, walk in closets, a large master bath with double sinks, Jacuzzi tub & separate shower. 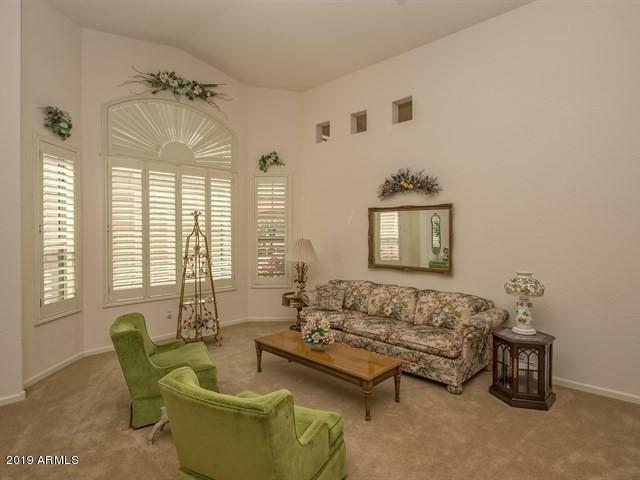 Upstairs has private guest quarters with 2 spacious bedrooms & a full bathroom. EXTENDED 3 car garage includes cabinets, a sink, a side door to the yard + room for a truck or classic car. 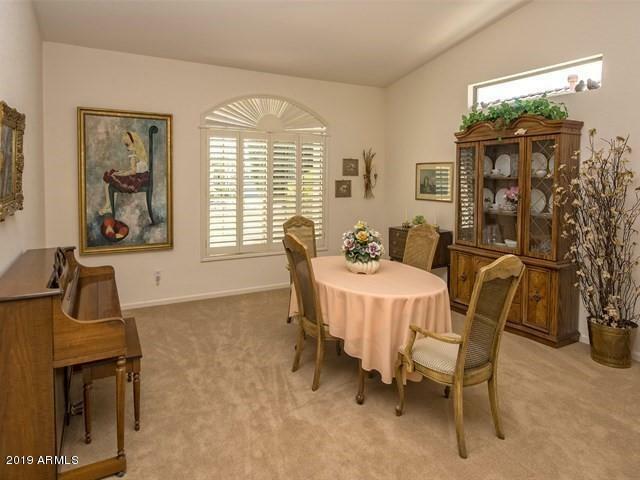 Covered patio has roll down shades, a gas barbecue with plenty of room for entertaining. The yard has grass for pets with fencing around.